A satellite is any object that moves in a curved path around a planet. The moon is Earth's original, natural satellite, and there are many man-made (artificial) satellites, usually closer to Earth. The path a satellite follows is an orbit, which sometimes takes the shape of a circle. To understand why satellites move this way, we must revisit our friend Newton. Newton proposed that a force -- gravity -- exists between any two objects in the universe. If it weren't for this force, a satellite in motion near a planet would continue in motion at the same speed and in the same direction -- a straight line. This straight-line inertial path of a satellite, however, is balanced by a strong gravitational attraction directed toward the center of the planet. Sometimes, a satellite's orbit looks like an ellipse, a squashed circle that moves around two points known as foci. The same basic laws of motion apply, except that the planet is located at one of the foci. As a result, the net force applied to the satellite isn't uniform all the way around the orbit, and the speed of the satellite changes constantly. It moves fastest when it's closest to the planet -- a point known as perigee -- and slowest when it's farthest from the planet -- a point known as apogee. Satellites come in all shapes and sizes and play a variety of roles. Weather satellites help meteorologists predict the weather or see what's happening at the moment. The Geostationary Operational Environmental Satellite (GOES) is a good example. These satellites generally contain cameras that can return photos of Earth's weather, either from fixed geostationary positions or from polar orbits. 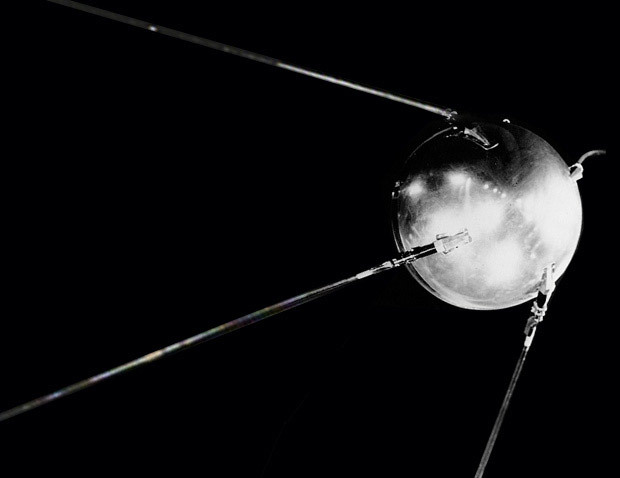 Communications satellites allow telephone and data conversations to be relayed through the satellite. Typical communications satellites include Telstar and Intelsat. The most important feature of a communications satellite is the transponder -- a radio that receives a conversation at one frequency and then amplifies it and retransmits it back to Earth on another frequency. A satellite normally contains hundreds or thousands of transponders. Communications satellites are usually geosynchronous (more on that later). Broadcast satellites broadcast television signals from one point to another (similar to communications satellites). Scientific satellites, like the Hubble Space Telescope, perform all sorts of scientific missions. They look at everything from sunspots to gamma rays. Navigational satellites help ships and planes navigate. The most famous are the GPS NAVSTAR satellites. Rescue satellites respond to radio distress signals (read this page for details). Earth observation satellites check the planet for changes in everything from temperature to forestation to ice-sheet coverage. The most famous are the Landsat series. Military satellites are up there, but much of the actual application information remains secret. Applications may include relaying encrypted communication, nuclear monitoring, observing enemy movements, early warning of missile launches, eavesdropping on terrestrial radio links, radar imaging and photography (using what are essentially large telescopes that take pictures of militarily interesting areas).